Historical records tell us that fasting has been used for health recovery for thousands of years. Hippocrates, Socrates, and Plato all recommended fasting for health recovery. The Bible tells us that Moses and Jesus fasted for 40 days for spiritual renewal. Mahatma Gandhi fasted for 21 days to promote respect and compassion between people with different religions. Fasting gives the digestive tract time to completely rest and strengthen its mucosal lining. A healthy intestinal mucosal lining is necessary for preventing the leakage of incompletely digested proteins into the bloodstream, thereby offering protection against autoimmune conditions. A healthy digestive tract also helps to protect the blood and inner organs against a variety of environmental and metabolic toxins. It is important to understand that the detoxifying and healing processes that occur during a fast are also active when a person is consuming food. A fast can be helpful for people whose conditions are not improving as quickly as they would like, or for people who have health conditions that require a concentrated period of healing to resolve. It is also important to understand that the most important part of a fast is how a person lives after the fast. Fasting can provide a clean and revitalized foundation upon which you can build and maintain a strong and well-conditioned body by consistently making healthy food and lifestyle choices. Q. How do I know if I need to fast? A: The answer to this question depends on your health status and goals. For many people, adopting an unprocessed, whole food diet, engaging in a sensible exercise program, acquiring restful sleep, and living in a relatively unpolluted environment will provide the necessary conditions to recover and maintain vibrant health. If a person is having a difficult time making necessary dietary and lifestyle changes, fasting can be a powerful way of accelerating health recovery. Fasting can also reset the sensitivity of the nervous system, providing an effective way of overcoming dependencies on caffeine, nicotine, alcohol, other recreational drugs, salt, sugar, and other stimulants. After fasting, many people marvel at how sweet romaine lettuce is, how refreshing apples are, and how wonderfully delicious baked potatoes are – without sour cream and butter! Many of us have been eating rich, salty, and sweetened foods for so long that we are unaware of how good foods taste in their natural, unprocessed states. Some people choose to fast in the absence of overt symptoms of disease, knowing that a period of complete physiological rest can allow the body to rejuvenate itself from the toxins that build up in our tissues despite our efforts to live healthfully. Q. How long should I fast for? A. If you choose to fast to recover from acute illness, you can fast until you feel well enough to eat again. In the case of a chronic health challenge, the length of the fast is determined by the progress of the fast. The healing processes that take place during a fast are predictable. Blood levels of cholesterol and uric acid tend to elevate during a fast, a result of the body stirring up stores of undesirable materials and expelling them into the circulation to be eliminated from the body. Shortly after the fast, these levels tend to be lower than they were before the fast, indicating a cleaner system. ESR, a marker for inflammation, tends to decrease during the course of a fast. As a part of the detoxification process, some people experience vomiting, diarrhea, headaches, dizziness, skin rashes, and other uncomfortable symptoms. Fasting under the supervision of a health care professional who is trained to distinguish healing responses from harmful processes can be helpful in allowing a person to "ride out" uncomfortable symptoms of detoxification. It is not uncommon for people to experience significant improvement in their health from fasting between 3 and 30 days. The idea is to fast as briefly as possible, but as long as is necessary to allow the body to restore health. A. There are a handful of exceptional circumstances in which it is not advisable to fast. A small portion of the population has an inborn error of metabolism whereby they lack an enzyme that is needed to process fatty acids. Since fatty acids are needed as an alternate source of energy during a fast, it would not be safe for such a person to pursue a fast of significant duration. This disorder can be recognized early in the fasting process by a trained observer. Intake of certain medications, certain liver and kidney disorders, states of extreme weakness or malnutrition, pregnancy, and certain types and stages of cancer are other examples of conditions that are not conducive to fasting. Q. Can fasting cure specific conditions? A: It's important to keep in mind that fasting is not a cure for specific health challenges. Rather, it is an opportunity to give the body a prolonged period of rest to do what it does best – heal and restore itself. The same healing mechanisms that are at work during a fast are also at work while a person is eating. The difference is that during a fast, all of the body's resources are channeled towards its self-healing and restorative mechanisms. Conditions that tend to respond favourably to fasting and dietary modification include high blood pressure, asthma, allergies, chronic headaches, inflammatory bowel disease (ulcerative colitis and Crohn’s disease), irritable bowel syndrome, adult onset diabetes, heart disease, degenerative arthritis, rheumatoid arthritis, psoriasis, eczema, acne, uterine fibroids, benign tumours, and systemic lupus erythematosus. Q. How much weight will I lose if I fast? A. On average, a typical faster loses approximately one pound per day during a water-only fast. Initially, the loss may approach two or even three pounds per day for the first few days if the person is retaining significant sodium and water. This can decrease to approximately half a pound per day in the later stages of a fast. From day two onward, the body begins utilizing fatty tissues for energy, thereby conserving as much muscle tissue as possible, a mechanism called protein sparing. Q. What is the difference between water fasting and juice fasting? A. During a water fast, only water is consumed. During a juice fast, any variety of fruit and vegetable juices are consumed. People detoxify and heal more quickly with a water fast than with a juice fast. This is because with a water fast, your digestive passageway and organs are able to rest completely, allowing for all of your energy to be used for cleansing and repair of damaged tissues. With a juice fast or a cleansing diet of fruits and vegetables, your body must use energy to digest nutrients, leaving less available energy for detoxification and healing. When a person's health condition is related to a weak or damaged digestive system, recovery may depend on fully resting the digestive passageway and organs through water fasting. Another significant difference is that more fat tissue is burned during a water fast, as your body must rely exclusively on fat reserves to supply its energy needs after the first 1-3 days of water fasting. Your body stores the bulk of incoming toxins in your fat reserves. As these reserves are burned for energy during a fast, any stored toxins will be released into your circulation, to be eliminated through various eliminative channels like your urine and respiratory tract. This mechanism of detoxification also occurs with juice fasting, but at a slower pace. All of this considered, both types of fasting can be used with effectiveness, depending on your circumstances and goals. If your situation and goals include wanting or needing to make significant gains in your health in a short period of time, water fasting may be the best route. If a person has a long history of taking extremely toxic drugs like certain chemotherapeutic agents, an intense period of detoxification through water fasting can cause damage to the kidneys. In this type of circumstance, juice fasting or a simple diet of organic vegetables and fruits may be the best first step to recovery. Finally, a water fast is most effective when you are able to get a lot of physical and emotional rest. If your life circumstances don't allow this, juice fasting is a better choice. Q. Won't my metabolism slow down during and after the fast, causing me to gain back more weight over the long haul? A. Metabolic rate fluctuates according to our moment-to-moment physiological needs. When we are active, our metabolic rate speeds up. When we sleep, our metabolic rate slows down. In the same way, when we fast, our metabolic rate slows down because our physiological needs are lower than they are when we are consuming food and going about our regular activities. When a fast is broken and a person returns to eating and more activity, her metabolic rate increases to match her increasing physiological needs. What does change during a fast is our digestive and assimilative capacity. Fasting provides an opportunity for our digestive organs to heal and make more efficient use of the nutrients in the foods that we consume. Weight gain or loss is always a simple function of how many calories we take in versus how many we expend. If your primary goal is to be at a healthful weight for your unique disposition, the optimal approach is usually to combine an unprocessed, whole food diet with a regular aerobic exercise and strength-training program. Please note: To receive more tips on how to use your food and lifestyle choices to promote steady cleansing and detoxification of your blood and tissues, please feel free to sign up for our free natural health newsletter below. I really found your web site too useful and enlightening. I know that being overweight is the main reason for almost all illnesses, and to get rid of that problem easily and in a healthy way by the help of your easy-follow-advises is magnificent. Thanks for your nice work. your web sight is extremely useful. i was surfing the web to learn more about fasting and your sight was by far the most knowledgeable one. I'm a religious person. i love god, Jesus and the bible. Jesus fasted for quite a long time in the desert to become spiritually cleansed but also i don't think Jesus had a problem with his weight. the bible teaches that the body is a temple and we must take care of it. Jesus in all his glory wouldn't do it if he knew it was harmful to the body. through out my life time i have had problems with my weight especially since i got out of the military. i haven't been as active and I'm working a lot. the only time i ever fasted was for a colinoscopy and i remember that even though i was hungry my body felt alive and healthy, i even lost some weight. i never fasted for more than a day but I'm so fed up with my weight and I'm determined to achieve at my goal to get to 180 pounds from 241. wish me luck and thank you. It's been a while since you posted this, but I just wanted to wish you Good Luck. I've also decided to fast because I am simply not happy with how I'm treating my body. I want a fresh start. I decided to fast to end the days of bingeing on food and constantly feeling this greed for food, especially junk food. I see it was a sin when I eat WAY more than I should. I can't think of the word, but it's one of the sins. I'm glad I googled "water fast" and found this page to learn that Jesus did fast. Now, I am truly confident that I can do it. I hope you got the results you were looking for! I'm on mainly a raw vegan diet now to heal my eczema, but I think it's going to be a permanent change. Also I am fasting every sunday. I still have a slight issue with overeating, but I feel like overeating bananas is healthier than overeating cookies! Anyway, giving a break to my digestive organs is helping my eczema, I'm sure I will notice the most improvement when I really stop overeating! Thanks for all the great info! Our church is doing a Daniel Fast (fresh or frozen fruits and veggies). Some of us are doing a 7 day cleanse before we start. Some are doing water, others, like myself are doing juices. Jentezen Franklin Ministries has quite a bit of info. concerning a Daniel Fast and a food list of do's and don'ts. I'll be praying for you and remember.......We can do All things through CHRIST JESUS whom strengthens us! Frozen fruits and veggies are a waste of your time and energy. Its Cooked,processed, packaged,then frozen. It has lost many of the essential micronutrients. You are eatting filler. Causing yourself to be overfed and under nourished. Whole, raw fruits and veggies are the only way to go. Non frozen fruit and veggies are picked before they are ripe allowing them time to ripen before they hit the shelves for you to purchase. However, even though they are still ripening after being picked they will not do so at their full potential. You also need to consider how long they have been sitting at the supermarket shelves before you purchase as the more time they are sitting there the more nutritional value they lose. Frozen veggies and fruits are picked at their peak. They then go through blanching that makes them retain all their nutritional value. They are also picked and packed straight away. fresh foods are far more nutritious. made up so you would buy there products. its pretty simple, the closer to nature you can consume something the healthier it is for you. Think you will find frozen is just as good, if not better in some nutrients than fresh. Good luck Diogenes!! My husband and I started a fast on ash Wednesday, we are 6 days into it and feeling great. We are drinking LOTS of water and drinking a protein/meal shake two to three times a day. Make sure you get your vitamins and nutrients. After the first two days my hunger pains went away. Can't wait to see what God does in your life! I agree that drinking protein shakes is in no way a fast, but protein shakes toxic? I won't accept that without proof. That would be big news to health clubs. Protein shakes are nearly always whey protein from milk. Most protein shakes of any quality hey don't even allow heat that could denature the protein, like cooking does. Unflavored whey isolate, which is what I use, is purer whey yet, without the fillers, which makes it a little more difficult. The only thing other than whey that is in it, and is less than 1%, is soy lecithin. The reason it is in there is is and an excellent source of choline, which is essential to every living cell in the body, and is one of the main components of cell membranes. Without choline, the cell membranes would harden, prohibiting important nutrients from entering and leaving the cell. Protein powders that do use fillers, use only sugar, salt, starch, yeast, gluten, corn, or egg. I've never seen preservatives used in any of them. It is a case of the cow hormones found in dairy products that could cause allergies. Mixed into a normal diet this would normally not cause problems, but if it could be because using it only can cause an sort of overdose of cow hormones and humans have their own hormones so something else's cannot be healthy. The best is as someone said you must work six days and the seventh day you must rest. Now I see this as rest for the body and the mind. Remember all work and no play makes John a dull boy. The seventh day is thus the day to rest and fast and drink water in moderation. Water is good for the kidneys and the elimination of the toxic and waste products but too much is not so good for them. When people talk about protein shakes they usually mean Whey protein which is animal protein, casein. Casein has been found to grow cancer cells in rats. (The Chine Study, T Collin Campbell) I am vegan and do use soy protein shakes on occasion after a workout. I agree that drinking shakes is not fasting. For years my husband and I ate a low carb high animal protein diet, I was overweigh and depressed, after reading the China Study I stopped eating animal protein, lost 40 pound in 5 months and am no longer feeling depressed. I have much more energy. I would like to loose another 10-20 pounds so I think I'll try the two day fast suggested by Michael Mosley, can't hurt. Yes, it's toxic. Milk and its byproducts are a multibillion dollar industry, yes. So it's been everywhere advertised, promoted, and consumed ever since you were a child. You're smart enough to know that. You know what else you're also smart enough to IMMEDIATELY accept: humans drink a fatty liquified food designed for baby cows. Why? Because it's healthy? (no). Because it's part of that previously mentioned multibillion dollar industry: bingo! We have a winner. The recommended gazillion glasses of fatty liquified baby cow food has not only contributed to the obesity epidemic in the United States, but to the causes of preventable illnesses and premature deaths. We're not supposed to be drinking fatty liquified baby cow food, but I will admit that you've been told that it's healthy since the beginning of time. No source of animal fat is healthy. But we can't shutdown the United States to save millions of lives by killing the multibillion dollar animals as food sources system. That's never going to happen. So don't overthink it. YOU logically know, at least now, that simple logic reveals that we're not supposed to be drinking fatty liquified baby cow food. So even though we can't save the world: save yourself. Adult cows get their calcium from vegetable sources. Think about it. That's one thing you should be getting from a cow: common sense. If you're already fattened up and no longer a baby, follow a dumb adult animal's lead. That is BY FAR the best answer, thank you. You said it so perfectly. go to truth in labeling dot com. You'll find code words for MSG. ALL protein shakes are MSG. ALL. ALL OF THEM. MSG is a bio-neuro-toxin. It kills you. Lots of Love, Robert. Fasting in Wikopedia says, abstinence from food OR a great reduction in food. This is very true. Do not go on a fast, only drinking protein shakes. The reason why is our body has a mechanism that allows us only to absorb a certain amount of protein before we cannot take anymore. I forgot exactly what was on the protein that was toxic to us, most likely a cyanide group or a nitrile. But yeah, watch out for the excessive consumption of protein! Although, I haven't read any proof if protein shakes are toxic or not I don't really need any. Almost, any manmade unnatural substance sold to mass consumers turns out to be harmful to humans. Protein shakes or not the minority. Also, aren't they packed with sugar or some artificial sugar that's just as bad for you. I can't believe anyone would even mention they're fasting while consuming 2-3 protein shakes a day that comment was so ridiculous it deserved backlash. 1. to abstain from all food. 2. to eat only sparingly or of certain kinds of food, especially as a religious observance. In accordance with the above definition, drinking protein only diet is considered fasting. Is protein toxic: None contaminated protein are not toxic. Some cheap protein contain added chemicals may be toxic, for example, manufacturer may add certain chemicals to stop protein clogging up the machines during manufacturing. Proteins aren't toxic. There's a saying "The drugs don't kill; the dose does." Same goes for nutrients and minerals. Really, too much of something is always bad. In the case of proteins, it is recommended to have at most 5 g of protein a day. Why? Protein is a high molecular weight substance. What organs get damaged when we intake too much protein? The kidneys. Not only do protein molecules make or capillary/venule holes much larger by stretching the nutrient exchange site, but protein also attracts water. Thus, when a person experiences "dipping edema", the cause is usually because of high protein in the system. 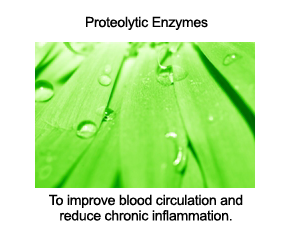 When protein gets absorbed into the bloodstream, the kidneys, of course, are there to filter the blood. Having too much high molecular weight PROTEIN causes the capillaries in our kidneys to become stretched out, or in worst cases, lodged, thus leaving that nephron (kidney cell) in danger. As I said, moderation is always good. I never drink anything concentrated because I've become very aware of what I should and should not put in my body, regardless of what the media says. As for this diet, it's good to fast with just water for 1, maybe 2, days. It helps relieve the stress off the kidneys and allows for a proper detox and cleaning. Sorry, but taking protein shakes is not fasting cuz u r working your digestive system. To fast why you fast- to rest your digestive system. With protein shakes your not. That's powdered solid. Fasting is abstinence. You can fast from food altogether. You can fast from certain foods. You can fast from certain activities. When someone says they are fasting they should be specific. There are many different types of fasting. Water fast. Smoothie fast. Internment fasting which is one meal a day. Fasting during the day and eating after sunset which is something the Muslims do for a whole month every year. Just consuming liquid fast. There are a lot of different fast that people do. Fasting doesn't just mean don't eat at all,Ever. till your ready to eat again. And yes a protein shake only can be a fast. It's a bad fast but... It is a certain fast. I am doing a juice fast right now to clear my eczema and it is working. This is the 3rd week of fasting and my skin rash is 99% cleared. I am now adding some whole foods back into my food plan for the day. But it is a WONDERFUL releif and it does work, just do not give up until your skin is cleared. I choose juice fasting because I am working and I wanted something in my tummy for energy. Good Luck! I am very glad i found this article! I have been wanting to fast for a long time because i thought it would help detox alot quicker than some detox pill and certain foods. This article has really helped motivate me to follow through on a 30 day water fast! Hope you all have good luck! It worked the same for me. It worked the same for me. This article is really motivating and inspiring. You should try a topical mixture of Aloe Vera Gel/juice mixed with an organic coconut oil. This combination seemed to heal my eczema symptoms. Some people do consume the Aloe Vera as a juice. But however, this water fast sounds great, but just concerned about the safety and risk effects. Perhaps you should do a little further research if you are concerned about the safety of water fasting. It has been around a long time and now scientific studies are verifying that it is a healthy way to re-set your body systems and regain health. As Dr Kim says in his article, consult your medical practioner as to whether you have any conditions that would prevent you from doing this first, but many conditions will be benefitted by a water fast. Do your research. Your website has helped me greatly in my current fasting venture. I appreciate your insight into the science behind the fast and your knowledge of the process. Thanks for sharing all your wonderful information, expertise and advice!! it's so nice to have all these nice information about fasting. Fasting has been a part of people's life since the beginning of life. There are different kinds of fasting and I belive all is good for you if you follow your doctor's and your belif system's instructions. I prefer fasting one way (day time fasting) but I like to try others too. Peace in your body and soul. Wow....thank you this article has given me the will to continue on my water fast, I am on day 6. I am so excited to see that this will help with some autoimmune things that I have. I have done a 10 to 12 day fast once a year always in December, and I always feel better afterward. The physical benefits included increased energy, decreased appetite, clearer skin (acne still present in my 30'S!) and mental clarity (I have a high stress job that requires constant calculation). The spiritual benefits however, exceeded the physical. I had a sense of peace and calmness that I never experienced prior, and I felt more at ease with the world, and myself than I have ever before. In addition, my attitude towards food changed as well. Fruits did taste better, and vegetables no longer required butter or seasoning. I wish I could say that lettuce was sweet, but for me, I would still need dressing. But you learn that we don't need constant gratification from food, and that it's a fuel, and nothing else. While it does taste good, the processed food that is rampant today provides little nutritional value, and inflicts more harm upon our bodies, then benefits. If you're planning to do a water fast, think it through, and talk to a physician. It's not something to be taken lightly, and if you have a job like a nurse or a truck driver that requires mental clairity at all times and long shifts, I wouldn't do it. The first few days can be rough, but once you get through the beginning, you'll feel better for it. Good luck to anyone who decides to try it! I just stumbled onto this website and I am so glad that I did. I started a water fast on yesterday morning and I had been doing pretty good all day then at about 8:30pm I got really hungry and I gave in and ate like two pieces of pizza! I was so upset with myself but I got up this morning and I had a renewed strenght and I have decided to start over on my 14 day fast! But reading all these encouraging comments has made me feel better and has made me more determined to continue on my fast. I really want to over come, overeating! It has been a battle for me all my adult life but I believe I can do this once and for all! Thanks for such a great website! I don't just want to lose weight but I want to have a lifestyle change!! Thank you!! Our church and really alot of churches nation wide has called a 21 day fast starting back on Jan 10th. I decided to do it full force and restricted myself to water and juice. I am the type of person that would much rather drink my juice vs eating them. A word of encouragement: After about day 3 or 4 food will not even be a thought. My family is all around me with their delicious plate of food and here I am not even being tempted. It really has been amazing to be free from the power of food and your flesh. I have a few more days and again like I said before I don't even think about food. Good luck...YOU CAN DO IT! I have been using fasting for thirty years usually to tame gastro-intestinal imbalances, and during spiritual investigations. I am currently on a water fast because the antibiotic clindamycin wiped out my gut florra and an indigenous species grew rampant causing all kinds of trouble. The first 36 hours are the hardest and you can't stop thinking about food. It gets easier the second day. The way I get through the first day is to drink lots of water to alleviate the empty stomach and to prime the kidneys. I also use unsweetened teas and take a multivitamin every other day. Now I am at the stage in which the empty GI tract feels good, like a much needed rest. A friend of mine said to include an enema on the third day because there might be stuff in there that will not move out because the GI is no longer being stimulated. Good luck to all. Most people are so scared of missing one meal. Once you do a fast you realize that you do not need constant foodstuffs moving through your body. Just think of the POW's who went from 198 pounds to 103 pounds[and less] and are still alive today in their 80's and 90's. It gives you a sense of durability. The water is important, though, your body might not tell you that you need water so schedule 12oz per hour or more. I do a pint. It makes a huge difference. Truly water fasting is good for your acne. It really helped my acne. In fact it reduced my acne by 70% but I am a model and you know that my professional does not like issues like acne. So I desperately try to find a permanent cure to my acne and a friend of mine told me about a cure called acneisover system. And that was what helped me. Am totally free from acne and I can concentrate on my profession without having t bother about acne. The acneisover system is great. check here www.acneisover.com, that is their website. Ramadan -a month of obligatory daily fasting in Islam is the ninth month in the Islamic lunar calendar (29 or 30 days). Daily fasts begin at dawn and end with sunset. I too always learn something new from your post!Great article. I wish I could write so well. To clarify; the correct way to fast Muslim-way is to take early breakfast (plain water should be good enough), skip lunch, and take early dinner (suggested meal is a piece of dates). When you see Muslims feasting with foods is actually more to cultural of some ethnicity rather than what has been suggested by our religion. Yes, agree with you, there is no benefit in fasting the way you see it, but , that's what they have been doing for years, and it is their lost for failed to understand the true meaning of fasting in Islam, not to mention their lost of benefit with fasting the right way. You suggest an early dinner for a Muslim fast? The whole purpose of a Muslim fast is to not eat during the day, their is no other purpose. Eating a early dinner would violate that purpose. They fast for '30 days' but allow eating at night. No eating during the daylight. During Ramadan, Muslims are not supposed to eat a lot at ALL. Eating a huge meal is not recommended or part of the religious fasting, it's a cultural thing. The whole point of abandoning food and drink is to cause the body to feel hungry and remind oneself that others are suffering without food every single day. The meal before the sun rises is supposed to be small—some water and maybe a date, to give enough energy to start the day. The meal after sundown is also supposed to be small—a handful of dates or some milk and a lot of water. But to be fair, the point of this type of fast is to bring attention to the suffering and remind one of the purpose of life, it's not aimed only for health benefits. Actually, fasting for 12 hours has a lot of benefits as well. I have found this information to be extremely enlightening, even though I have been on a water only fast approximately 35 years ago, for 40 days. I was much stronger and felt really good, although I do feel 40 days was a little too long for me. Thank you for this article re water fasting. I have water fasted perhaps a half dozen times, never more than five days at a time. In the past I have always ceased taking any of the various vitamins and other supplements that I routinely take. Is this necessary or advisable, or may continue w/ my usual supplements while water fasting? I love your blog and website! Thank you, Dr. Kim!! This is very useful information for me. I was searching for info on water fasting and came up with this sight. I have been feeling very sluggish and unable to use the bathroom regularly. So I was looking for some detox treatments but something all natural and not some pill claiming to do the job. I saw a lot of different ways of fasting but the best way for me was the water fast. I'm going to start this first thing in the morning and I am going for a thirty (30) day fast but will settle for nothing less than 14 days. Well wish me blessings and GOD bless to all of you who have decided to change their life and pursue a healthier life style. I went on a 30-day fast several months ago and have been amazed at the positive benefits of dieting in this way. Yes, I was borderline obese for my height and body frame and in the month prior to embarking on the fast, I walked 1 and 1/2 hours per day approximately five times per week and did not lose an ounce. I did not intend to fast for four weeks but every day I would say to myself, maybe I should stop tomorrow... and then I would think: Ask the body! And my body always seemed quite contented, not even desirous of eating when I did finally decide to end the fast. What I found most remarkable was that I lost all of my bad cravings. Yes, I had days after I came off the fast when I ate more than I should have, but I was eating only healthy foods. I have known for a long, long time that I'm allergic to milk, but did not understand until I went on the fast what terrible things milk was doing to my body. It was interfering with my breathing, making me breathless at the least exertion, making me snore, giving me terrible indigestion. So I came off the diet and immediately went to a vegan diet. It's very very difficult to gain weight (back) when you restrict yourself to vegan-style dishes. A few weeks after my return to eating, I realized that I had no desire for milk, or yogurt, or hot fudge sundaes. Or sugar! All those bad habits just faded away, helped very much by the fact that I was 20 pounds thinner and felt 20 years younger. The fasting also delivered me of joint and knee pain. In sum, in this day and age with all of the terrible things the food industry is doing to us, don't be fooled into thinking your body won't be supremely grateful if you turn off the junk and give it a good rest! P.S. : I also did a full five-day colon cleanse while on the fast and that probably added to the wondrous results I obtained. Happy Fasting! By chance I came across the web site about fasting and read your comment.You cannot imagine how happy I am for you. I reread you comment several times and without knowing I was smiling. Iam starting a very long fast and reading your post has been such a help to me thank you for posting. Wow! Thank you so much! I learned so much from this. I am a Muslim and it is now the month of Fasting. It is extremely difficult to go without water in this hot summer weather here in New York, especially when you work mornings/afternoon and do a lot of walking using public transportation and all. Sometimes I do believe that a water fast is not only easier on the body but much safer. Dehydration is highly possible and thus it causes one to lack certain abilities and thus slack off in places like work or school. The problem with the way we have changed Fasting in Ramadan is mainly that of having to "carry out normal western lives" while not being able to drink water all day. Most people claim to be able to work or study in school fine and fast when I know from first hand and other people that it really is impossible in the Western world. My elder sister who is currently in medical school doing rotations and studying does not mind not eating all day, but has a problem with not drinking water, so she doesn't fast; she says it totally blocks her ability from studying a subject such as science. I feel the same way sometimes because I feel a total lack of mental clarity and physical capability without Water in my body. I work with numbers and my job requires a lot of mental attention that I sometimes make mistakes by typing a wrong number, or sending in an invoice with a miscalculated total. My belief that Fasting prescribed in Islam is a fast of no water or food from sunset to sundown, and only water, or dates in the night (still wondering about juices, fruits and vegetables, any opinions would be great!). But, also this type of fast should only be done when there is no mental or physical demands (work school, the things demanded by us in today's western society) In dominant Muslim countries, it is much easier fasting because schools have off and so do most work places, giving the person the ability to Truly fast without food and water, and also spend all their time reflecting on their inner selves. When I fast I feel as if my mind is hazy, not allowing me to focus on worldly things, but I do begin to internalize and reflect a lot, sometimes getting emotional as fasting can bring out "hidden emotions'; just another way it cleanses the body. And the posts above me are correct, the way Islamic fasting is done now is totally wrong, with the feasts and all. I learn no self-restraint that way. When I don't eat a "feast" at night I feel much more energized with just water and a date. The only thing I can suggest is that a Total fast, meaning NO water, NO solids food, NO juice, or anything foreign entering the body at all for more then 3 days should only be done when one is able to spend their time completely sedentary, and completely free of mental obligation (work, studying something non-spiritual, or contemplative that requires memorization instead of understanding) like Prophets of the past, Saints, Monks, and the like. A total fast from sunrise to sunset, and only water and dates at night should be done when there is absolutely no mental requirements, and as little physical requirements as possible. A juice fast can be done as often as possible regardless of the amount of mental or physical energy one needs to exert. **Please understand that Fasting is more then just no food or drink, but also fasting from doing bad habits one would normally do, such as watch t.v all day, or sit and gossip with friends, that is why I would suggest total solitude for people who are in Total fasts, and total solitude from Sunrise to Sunset for people like Muslims who fast in the daytime. Your comments are worthy of thinking about. Dehydration is a problem at the extremem of ages [Under 15 and over and over 65/70 years age] or if you move from a cold country to a warm one. I have fasted the month of Ramadan and worked full time, and my full time means 60 to 90 hours per week. This is the third time that fasting came in July. It has not bothered me. I fast thru the year on mondays and thursdays. Believe it or not, the most I was ever bothered by fasting was on 21st of December. The befits of fasting with all conditions met for Muslim fast, you come out a winner in every which way. Have you done a water fast Jay? Hi Jay, or may I add Assalamu Alaiqum Wa Rehmatullah? I have done a few water fasts after a very long time of healthier food and incorporating greensmoothie-fasting and juice-fasting. I am looking for other Muslims who have also experienced the benefits of water fasting. Hi Susan, it is great to hear how well things went for you! I have embarked on a 40 Day water fast myself, and am at day 9. I feel really good, am sleeping better, and honestly do not have even the remotest desire to eat. I have the month after my fast is done all planned out . . . how I am going to break the fast with broth and after 5 days move to introducing raw veggies. I DID, however, want to ask you about the joint pains that were alleviated during your fast. I actually seem to be experiencing sore muscles around my knee and hip areas. My mother, who, when starting the Atkins diet, said she experienced the same thing but after a while things subsided. So, my question to you would be did you always have those pains and through fasting, they healed; or, did they first start during the fast and went away afterwards. I have done a lot of reading on the subject and seem to hear a lot of cases of both. I discovered this site and saw your comments and was wondering how your fasting turned out. I am on day 3 of my fasting and trying to decide if this is something I want to continue. I feel the exact same way you do. I am encouraged to currently continue but I am scared I have read things positive and negative so I am anxious to see how the last thirty days has gone for you. I went 30 days without a drop of liquid including water with no problems at all. People don't need to be afraid of not drinking enough water. If they eat healthy with organic fruit they will get all the water they need naturally already filtered with no toxins. Hi Christina, did you make it to 40 days? I'm on a long fast myself and was wondering. My parents have always fasted for religious reasons (me too, day 16 of 18) my mother fasted 2 days a week until one month before her death, she was strong and none of us knew she was ill...no fasting can't remove death and sickness completely, we are still vulnerable in this sense but it does benefit you greatly IMO. One of the aspects not mentioned is how sharp your mind gets while fasting...I have noticed it and my mind feels somewhat clear...great feeling. I must say though that this fast is different from the others, the others have been pretty easy with little to no hunger pains, but this one has me hungry daily...this one is a struggle. I have to complete it though, I have a lot of decisions to make and I'm asking God for wisdom and guidance (I only fast for these reasons, not for weight or health though that is a benefit). I have chronic eczema all over my body and now my face and neck, I am about to start the water fast to see if it will help and give my body some time to regenerate. I will update with how I do. Wish me luck. Hi Ellie! Goodluck for your fasting!! I am having a really bad flare up of eczema as well and am planning to start the fast too! All the best to you! Enjoyed your youtube video. I'm an overeater that discovered fasting last year. I completed a 46 day water fast in September and I am currently 20 days into, what I hope will be, a 60 day fast. I have/am taking nothing but water (which after 20 days tends to taste teriible) and do enjoy the high I get from fasting. Good luck with your fasting! After seeing your article, I had to comment on my current experience with water fasting. I am not doing a true water fast as I am consuming tea as well, and when the hunger gets to me I juice some fruits and veggies and have one glass of that a day. In this way, I have been able to stay on my faux-water diet. Anyway, my purpose of water fasting is to shrink a calcified submucosal fibroid that I have been battling for a year. I did a five day juice fast in November, but came to the conclusion that a water fast would be more effective for my goal. So a couple of days ago I started water fasting. At the end of day one, I lay on my bed with a full bladder and could feel the hump that my fibroid makes on my abdomen, and I can tell that it has shrunk somewhat (that is how I measure whether my fibroid has shrunk or grown). Last night, a few hours into my third day, I lay on my back with a full bladder and tried to measure my fibroid. I COULDN'T FIND IT. There was no hump on my abdomen. So I began pressing into my abdomen to see if I can feel a hardness there, and I could; that is how I know that the fibroid is still there. But it has SHRUNK SIGNIFICANTLY to the point where even if I lay on my stomach, I can't feel it. To go from a hump one day to barely anything two days later is amazing. 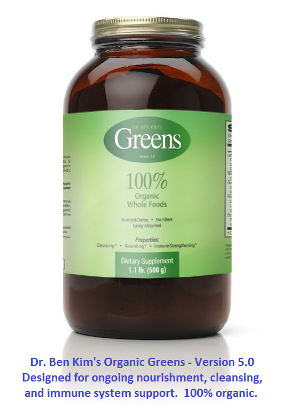 I credit the water fast for making the enzymes and kelp supplements that I take in abundance each day more effective. I hope I am not getting ahead of myself, and really I do need to have an ultrasound to determine if the fibroid is truly almost gone. But I have had that hump in my abdomen (when I have a full bladder) for almost a year. And now it's gone. I even lay on my bed a little longer and let my bladder get to near bursting. No hump. I am writing this in hopes that it inspires any woman that is battling a calcified fibroid. They're stubborn when they're calcified, and you have to break that calcification before any herb or enzyme can be effective. But I did so using magnesium oil (minus the calcium) and my enzymes were able to go to work. Our body truly knows how to heal itself. Your post has encouraged me to embrace the idea of a water fast. Although I cannot embark on it now as I am pregnant, I definitely see it in my future. I am not in anyway overweight but I have a serious case of dyspepsia that is beginning to nag me seriously. Where in your newsletter will I find the necessary info on a juice fast? I am on too many meds right now to do a water fast. I signed up for your newsletter but What I received tells me how to go the juice fast and what juices should I prepare. Water fast to rid Fibroids! Hi. I'm 31 yo living in China from U.S teaching English. In April, I had a crazy stomach pain. Went to hospital they asked in Chinese are you Prego I said no, did MRI and ultrasounds saw fibroids that were small before now 11cm 8cm and 2 smaller ones. I was told to do surgery. I went to three hospitals only one doctor spoke English so I used a friend to translate the rest. I researched and researched. Asked about Chinese medicine bc I didn't want to do the surgery not even here in China. The English speaking doctor said it won't help with my fibroids. Period came on May and surgery is scheduled but cannot do surgery if period is on. Through prayer I asked God to give me a sign of I should go forward well only sign I saw was my period not going off and online answer water fast so I started a 5 day water fast with my bf. He was so nice to do it with me and I'm greatful. day 3 I saw the change in my 5 month old prego stomach and I had not carried a child yet but that's how big I looked and ppl always asked that question. Day 4 even more changed I took pics of my stomach on day 3,4. I can see the difference. I think three have shrink to where I cannot feel when laying on stomach. 11cm has shrunken a lot and I may do 7days just to get it down more but water fasting does work!!!! You may see chunks of blood come out in your urine or stool kind of like clots. When your body goes into day 3 ketosis fat burning it also tells the body to rid of things that don't belong in the body. The blood in the fibroid decreases and you may feel the difference depending on the size. I hope this helps someone a similar article has helped me and I youtubed meditation music at night when fasting. So day 5 water fasting now full of energy and have been every day of fast only slight short time headache day 3. Wish more women can try before surgery because three ppl I. Know had surgery and fibroids came back so to me surgery was not solution unless a person is in really in pain and need them out! I think God can do any and all things so keep him first and you can get through it. Peace and Love. That is awesome! Thank you for sharing!